The Trumps began eyeing India around 2007, drawn to an emerging market of consumers beginning to find a taste for name-brand luxury. In April 2016, the Trump Organization announced that it was expanding its brand in India. 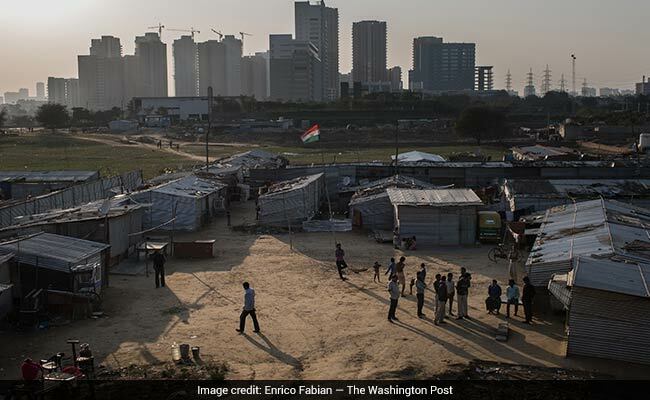 Gurgaon, India: The Trump Organization is about to double its real estate empire in India with two new projects in this suburb of New Delhi known for rapacious development and poor planning. In two deals signed before Donald Trump was elected president, the company aligned itself with Indian partners who were already attracting the attention of law enforcement authorities. One, called IREO, is under investigation by India's Enforcement Directorate over the source of its funding, suspected violations in its land purchasing and the possibility of money laundering. The other, M3M India, has been the target of sweeping tax raids; on a different project, the company was recently cited in a criminal complaint of bribing officials to clear-cut land. An investigator working on the IREO investigation, who spoke on the condition of anonymity out of fear for his job, said he now expects the investigation to "go slow" because of the subjects' ties to the man who has since become president of the United States. The agreement gives the Trump Organization a portion of its office rentals. On Monday, India's prime minister, Narendra Modi, will be at the White House to meet with President Trump. It will be exactly the sort of moment that makes ethics experts, worried about the conflation of Trump's business abroad with his oversight of U.S. foreign policy, especially alarmed. 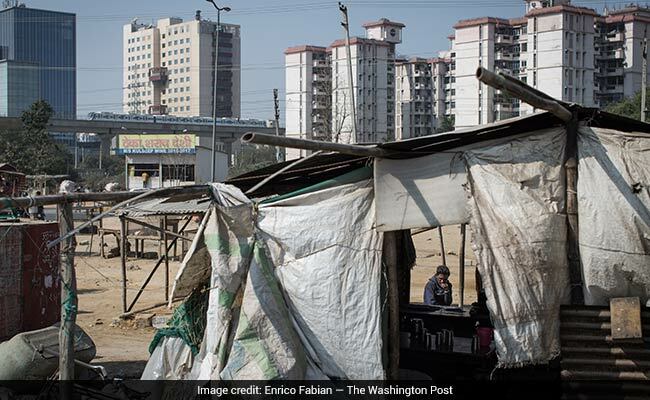 Gurgaon, a city of more than a million, rose pell-mell over the past three decades as private developers worked hand-in-hand with politicians to gain control of huge swaths of property, resulting in a chaotic metropolis of gated communities and golf courses that sit alongside squalid migrant camps and fetid cesspools. Lalit Goyal, managing director of IREO, said his firm has a licensing agreement for the Trump name. "Everything is compromised," said Sanjay Sharma, a Gurgaon real estate broker. "It's not some people in some places who are corrupt. Corruption is institutionalized. To thrive in this real estate market, you must be a scoundrel. It is impossible for a thorough gentleman to survive here." The Trump Organization's two partners here have been among the primary developers in Gurgaon's now stalled building boom. They are hard-charging companies - a surgeon named Subrat Saxena is just one of many former property owners here who, bullied and misled, lost their land to the developers, land that is now slated for the Trump tower. Construction workers at the site of the planned Trump/IREO tower. After Saxena applied for a land-use change back in 2005, Dinesh Dayma, an agent acting on behalf of IREO, convinced him to sell his land before the government acquired it by eminent domain, according to Saxena. Panicked, Saxena sold about a third of it for $188,000. The developers packaged it with other parcels, similarly acquired, and now are making it available for the Trump project. "I'm sorry I did it; if I hadn't, I would have a hospital now," Saxena said. The Trumps began eyeing India around 2007, drawn to an emerging market of consumers beginning to find a taste for name-brand luxury. Now there are two Trump towers in the quiet city of Pune and a flashier one with a gold facade in Mumbai being built by millionaire developer Mangal Prabhat Lodha, a politician in the governing Bharatiya Janata Party. Trump's eldest son, Donald Trump Jr., has made several trips to India, and Trump himself jetted in on a promotional tour in 2014, proclaiming India "an amazing country!" Real estate is one of the most corrupt businesses in India, which has the highest rate of bribery among Asia-Pacific countries recently surveyed by the anti-graft group Transparency International. A state leader from Maharashtra, who met with Donald Trump Jr., says the young American's Indian partner there pushed him to relax building codes to revive a stalled project - a charge confirmed by another person familiar with the discussion but disputed by Indian developer Kalpesh Mehta, who was also in the meeting. "I said no as politely as possible," Prithviraj Chavan, the state leader, recalled. "Builders routinely seek such relaxations from municipal authorities, a little tweaking here and there and they stand to make a huge windfall. Local authorities usually have some discretion. But the relaxation he was asking me for was bigger than what most builders ask." Though the Trump Organization has declined to comment for this article, Alan Garten, the company's general counsel, addressed questions earlier this year about some of the company's other unorthodox business partners. He said that blemishes on their records are not "reflective of the portfolio as a whole" and that the organization conducts "due diligence" background checks. Ethics experts say engaging partners who have ongoing legal issues underscores the growing concern that the president's business projects around the world could create conflicts of interest or other challenges for his administration. "By continuing his association with these groups and pursuing his private business interests, he's put himself on a collision course with the U.S. public interest," said Kathleen Clark, a law professor and ethics expert at Washington University in St. Louis, Missouri. "It's a terrible idea." In April 2016, the Trump Organization announced that it was expanding its brand in India, lending its name to an IREO Private Ltd. office tower in Gurgaon designed by Foster + Partners, the architects of Apple's new campus. The Trump company signed a licensing agreement with IREO that includes use of the name, technical assistance and a portion of office rental income, according to Lalit Goyal, IREO's managing director. Goyal said that his company is a private equity fund founded in 2004 by a former Goldman Sachs executive and Indian partners to infuse foreign capital into India's real estate market. The company counts high-profile sovereign wealth and university endowment funds among its backers. Goyal is the brother-in-law of a prominent BJP leader, Sudhanshu Mittal, but the developer said Mittal has nothing to do with the business. India's Enforcement Directorate, which tracks financial crimes, has long been investigating the source of IREO's funding, officials there said. Money from abroad was routed through entities in Mauritius and Cyprus, and investigators believe it was used to finance land purchases in Gurgaon, documents show. 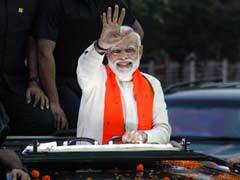 The Enforcement Directorate is examining whether a number of shell companies were set up to mask the origins of this money, as it is illegal for foreign investors to purchase agricultural land in India, according to investigators, who spoke on the condition of anonymity because the inquiry is ongoing. According to an internal case memo shared with The Washington Post, tax fraud investigators found that IREO used seven holding companies and dozens of subsidiaries to bypass restrictions on foreign direct investment in agricultural land to purchase $443 million of property in Gurgaon from 2006 to 2007, including the subsidiaries that purchased land now slated for the Trump office tower. "There is a serious reason to believe that a substantial part of the funds in IREO are money that has been layered and laundered," the report said. Goyal said at the time they founded IREO that the company faced unusual scrutiny because few people in India understood the concept of private equity. Investigators "basically wanted to know who our investors are. And we shared the list with them," Goyal said. "They took two years to cross-check our list of investors and finally they said that 'you are absolutely clean.' "
But the case, though possibly stalled, is still open, the Enforcement Directorate said. The Bansal brothers, Basant and Roop - sons of a mustard-seed-oil seller from a small village nearby - made their fortune buying up adjoining plots of land for bigger developers. As they built M3M India, which stands for "Magnificence in the Trinity of Men, Materials and Money," they became adept at sweet-talking villagers over a hookah pipe, locals said. The Bansals, who declined to comment for this article, helped IREO put together the land for the Trump project. Dinesh Dayma, a land agent for the Bansals, persuaded the surgeon to sell his land to the developer rather than risk having his land appropriated by the government at below-market rates. He works out of an office in a low-slung concrete building not far from luxury hotels and a Porsche dealership. It sits snugly inside the walled office compound of his brother, Mahesh, a local politician from the BJP. A saffron-and-green banner with the politician's photo - common in India - hangs prominently outside the property office. Inside, Dayma sat in his darkened office - the electricity was out - and denied that he had used his brother's position to glean information about the doctor's land. He came by the information fairly, he said. "Everything is for sale as long as you get someone to put a price on it," he said, with a smile. Dayma said that the property in Gurgaon was purchased from farmers by agents who used a variety of pressure tactics in collaboration with the state's development authority. "The state and the developers work together," Dayma said, encouraging rumors to rush farmers into selling. "In all of the sectors, all of the land was acquired this way," he said. One state official, who spoke on the condition of anonymity for fear of jeopardizing his employment, recalled the heady days of growth when developers routinely showed up at the home of a former chief minister in sport utility vehicles laden with suitcases full of cash. On a blindingly sunny day in Gurgaon, Pankaj Bansal, son of Basant Bansal, appeared on a golf green to greet contestants from the "Apprentice"-style Indian reality show "The Pitch." The young scion, in a lilac shirt and aviator sunglasses, told the budding entrepreneurs that his family was positioning itself to be "one of the most respected developers in the country" and worked only with the best architects, interior designers and landscapers. The Bansal brothers have come far since their gritty early days. They have several large projects in the works, including one complex built around a nine-hole golf course that has suffered delays. 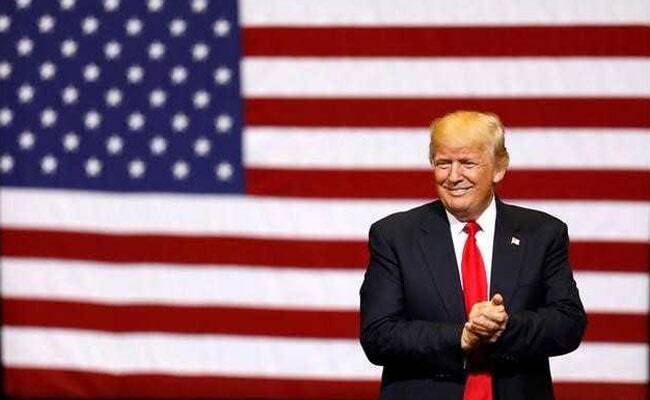 Now, they are preparing to announce a joint venture with Mehta's Mumbai-based Tribeca Developers to build Trump-branded residences, Mehta said. 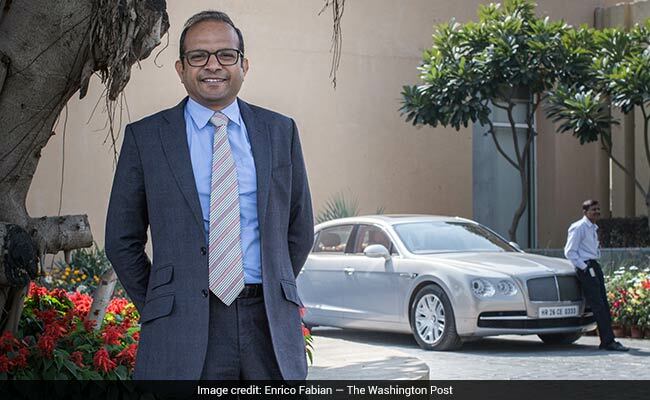 Basant Bansal caught the attention of tax investigators twice, records show, once in 2008 and again in 2011, when he threw a lavish wedding for his daughter in Turkey, according to a report in the Hindustan Times. Investigators seized cash worth $48 million in a raid on the company's offices. A tax investigator said that Bansal ultimately paid the taxes he owed. Tax investigations such as these are not uncommon in India, and only a fraction pay income taxes, despite the government's concerted efforts to combat hoards of undeclared "black money." In March, one of the Bansals' employees was caught allegedly bribing a forest guard to illicitly cut more than 2,200 trees, in connection with a separate project, according to a police complaint that is still under investigation. Such practices are an everyday occurrence in Gurgaon, said Sharma, the broker. "Nothing moves unless bribes are paid, and bribes are paid at the highest level," he said. "The amount of money involved in real estate is mind-boggling." Alexandra Wrage, the president of Trace International, a firm that advises businesses on assessing foreign partners, says that American companies need to carefully vet foreign partners to avoid violating the Foreign Corrupt Practices Act, a law that prohibits bribery of foreign officials. Speaking generally, Wrage said that an Indian citizen bribing an Indian official does not violate the U.S. act but does indicate "shoddy business ethics and a willingness to violate the law. This is the clearest sort of red flag. If a company will bribe in one situation, you're on notice that they're likely to bribe again." Most companies seeking to minimize their legal risk would find such red flags "insurmountable," Wrage said. Swati Gupta and Rama Lakshmi in New Delhi and Alice Crites in Washington contributed to this report.